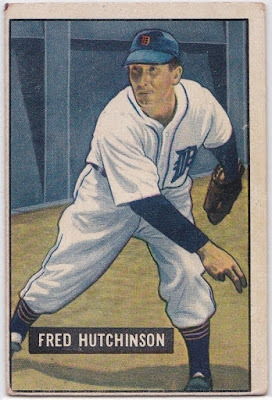 Over the past few weeks I received two PWEs from Commishbob over at The Five Tool Collector and he sent along two cards off of my Fred Hutchinson needs list. The first card (on the left) is from 1951 Bowman when Hutch was pitching for the Tigers and the reverse side highlights that his 1950 season was one of his best by winning 17 games. 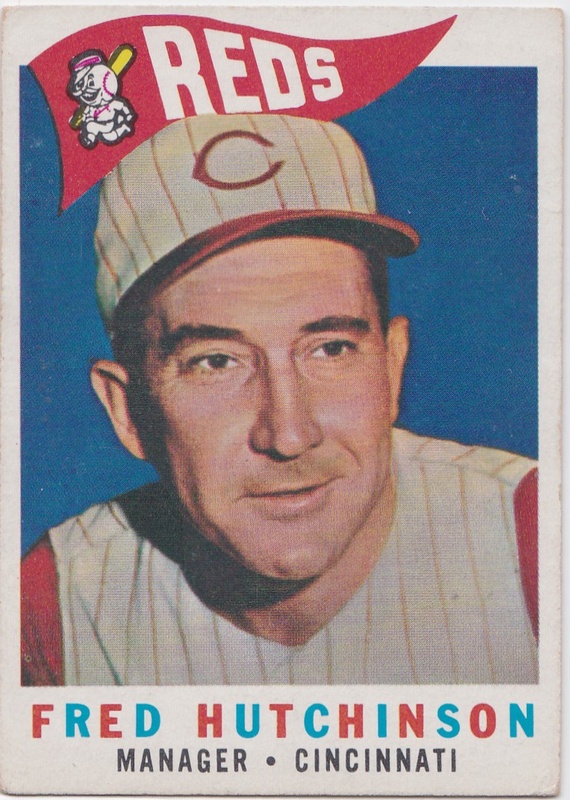 Hutchinson became the manager of the Cincinnati Reds in 1959 and his first trading card featuring him in that role can be found in 1960 Topps, which is the card on the right. Hutchinson took over the managing duties about halfway through that season after the Reds fired coach Mayo Smith. Smith would go onto manage the Tigers to the World Series championship in 1968. Thanks Bob for the great cards! Got the '51 Hutchinson earlier this year. One of my favorite cards in my Tigers collection.